There are 10 direct trains a day from Nakhon Ratchasima to Bangkok. The fastest train is Train #22 departing from Nakhon Ratchasima at 18:47, which is scheduled to complete the journey in 4 hours 08 minutes arriving at 22:55. The slowest train from Nakon Ratchasima to Bangkok is Train #137 departing at 12:33 and scheduled to arrive in Bangkok 6 hours 07 minutes later. Use the Search Box below to buy your train tickets from Nakhon Ratchasima to Bangkok. Sleeper seats are available to book online as well as the cheaper seat only options. After booking either collect your train tickets at the Parcels Office at Nakhon Ratchasima Train Station or request that they are sent by post to your home address. For day time travel to enjoy the fantastic scenery on route take Train #72 departing at 10:18 and arriving in Bangkok at 14:55. For overnight travel book a sleeper berth on Train #24 departing from Nakhon Ratchasima at 23:59 and arriving in Bangkok at 05:15. Train #24 uses the brand new carriages purchased by the State Railway of Thailand in 2016. For an additional fee of between 250 THB and 430 THB you can book your train ticket up to 60 days in advance and guarantee the right seat type is available for the day you plan to travel. If you are not bothered about which day you travel on, or what type of seat you buy, then purchasing a ticket at the train station in Thailand is the cheapest option. 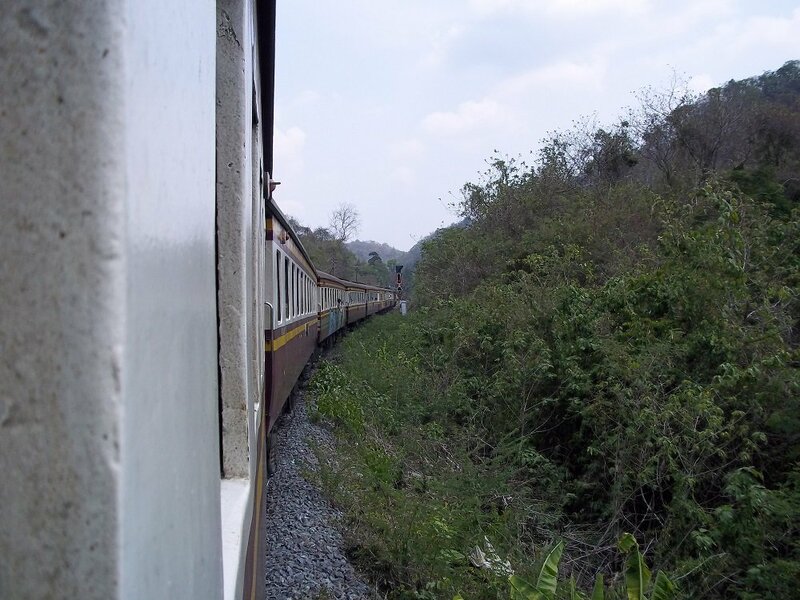 The journey from Nakhon Ratchasima to Bangkok is one of the best on Thailand’s train network. The journey starts with a journey through the mountainous area between Pak Chong and Ayutthaya. From there the train makes its way through the plains on the approach to Bangkok. The trip through the suburbs of Bangkok provides travellers with seldom seen glimpses of hard to reach places in Bangkok, including it famous ‘Railway Market’ area and less well known temples and river views. This short journey is a pure pleasure and we recommend doing the journey during the day time at least once.